If you happen to be anywhere near Quezon City area and you wanted to visit the nearest branch of Pag Ibig Fund, below is our latest and updated copy of the complete contact details. We have listed the location address, hotline contact numbers and email address for those who wanted to make an online inquiry by sending specific concern to the database. This works especially for those who are working and do not have so much time to spare making a personal visit and inquiry to Commonwealth branch. Make your inquiry only in official business office of the Home Development Mutual Fund government agency only to avoid getting scammed. Be sure to bring what is required by calling the provided contact number below prior to coming over. Ask for more details if necessary like if you will bring your own vehicle and would be looking for a nearby parking lot. Be sure to make a list of ALL your inquiries so you can maximize your purpose of visit to any of the branches. 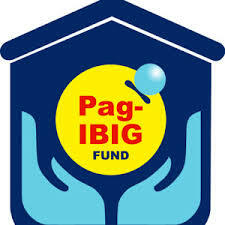 I for got my pag ibig number..
Can you trace it by my name..
What is the office hours at the Pag-Ibig Branch located at LFG Diliman Commercial Center? Ask ko lng po yung salary loan ko 3 weeks na wla pa rin po! !whats wrong pag-ibig? Please send me a copy of my Loan Contibution Status. nag online registration po ako nung april 14 pero until now wala parin po akong na rereceive na number or any . kailangan ko na po kasi.